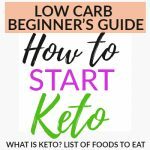 START HERE – What is Keto? 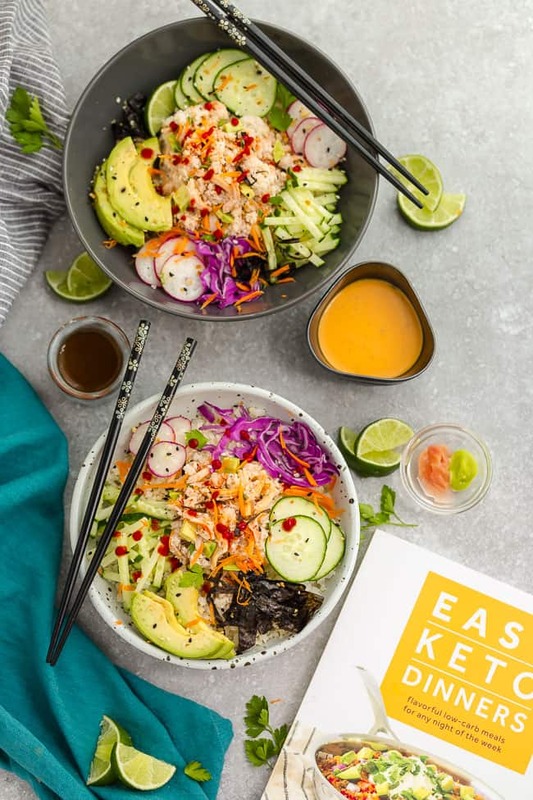 Low Carb Sushi Roll Bowls – a healthy and keto lunch or dinner to satisfy your sushi craving. So easy and less expensive than ordering takeout. Sushi was one of my favorite things to order out before cutting out grains from my diet. Back then, I even learned how to make my own Homemade California rolls . But you know what? Who says you still can’t enjoy sushi when you’re low carb? 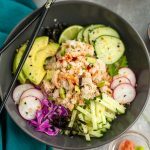 This recipe for California Roll in a Bowl comes from the talented author, Carolyn Ketchum of the low carb food blog, All Day I Dream About Food. 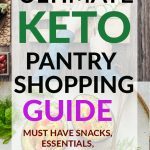 She is the low carb baking master ( Keto Key Lime Bars, Low Carb Italian Cream Cake & Keto Strawberry Pie), and has written three cookbooks Everyday Ketogenic Kitchen, Easy Keto Desserts and Easy Keto Dinners. 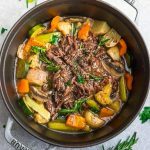 Easy Keto Dinners includes over 60 flavorful low carb recipes that you can make any night of the week. 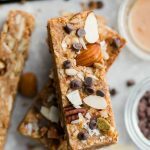 Each recipe includes full-color photos, detailed prep instructions, and nutritional information. 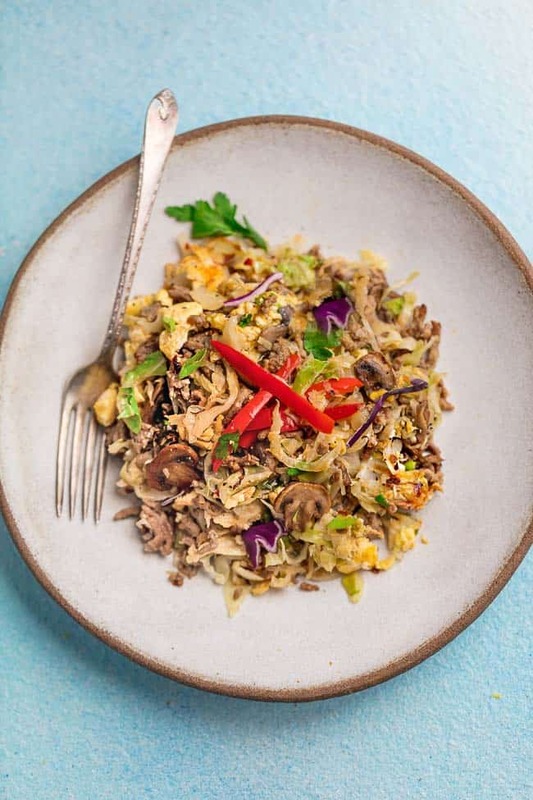 In addition to the California Roll in a Bowl, I’ve also made the Spicy Cabbage Stir Fry and Cheddar Ranch Roasted Cauliflower – all three were delicious and I can’t wait to try more. You’re going to start off by making the 3-ingredient creamy mayo wasabi cream. Next, cook the cauliflower rice in a medium saucepan over the medium high heat and stir in sesame oil. Combine the crab meat with mayonnaise, and Sriracha. 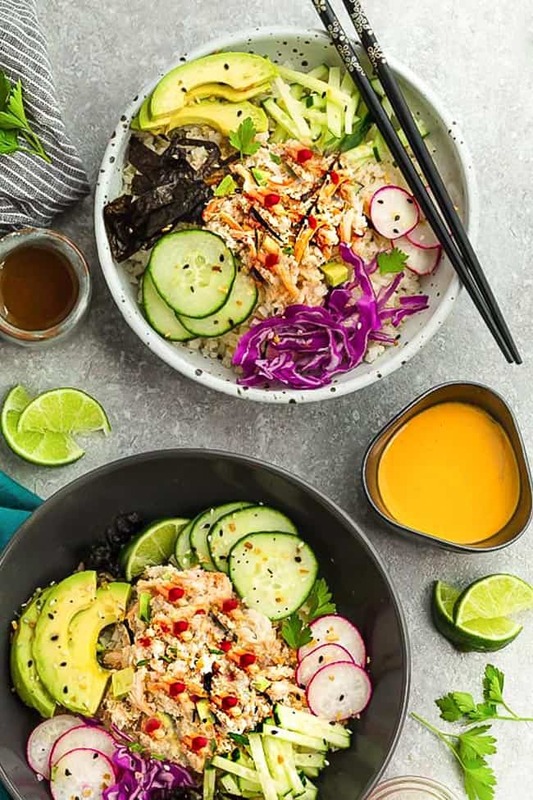 Assemble your bowls by dividing the cauliflower rice then topping each with some of the crab mixture, a few avocado slices, nori strips, cucumber. I also topped them with some shredded red cabbage and radish slices to add a pop of color. Sprinkle with sesame seeds and serve with the wasabi cream on the side. I also added a very tiny amount of some grated carrots in the end just to brighten up the bowls even more but you can certainly leave them out if you like. This fresh and flavorful dish is perfect for lunch or dinner and comes together for any night of the week. 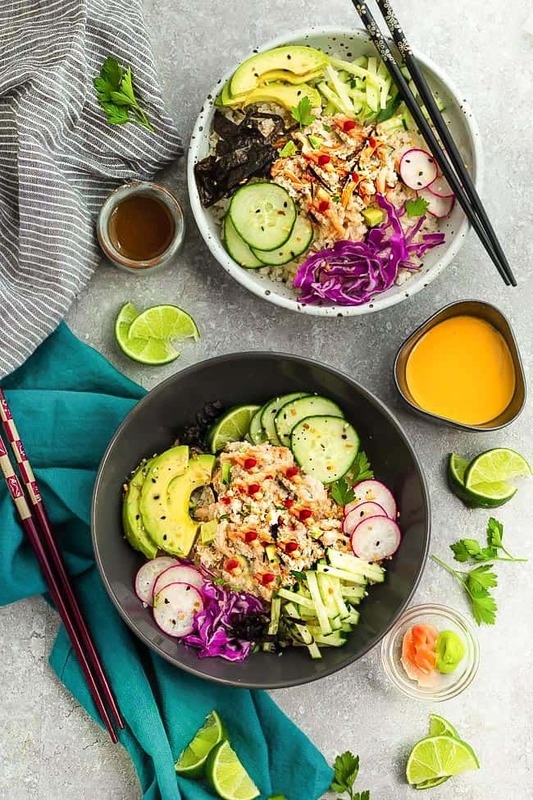 The next time you’re craving sushi, skip the takeout and try out these simple California Roll Sushi Bowls. Don’t forget to stop by Carolyn’s blog to check out more of her recipes and order your own copy of her new cookbook. Low Carb Sushi Roll Bowls - a healthy and keto lunch or dinner to satisfy your sushi craving. So easy and less expensive than ordering takeout. Mix the ingredients for the cream in a small bowl until well combined. In a medium saucepan over medium heat, combine the cauliflower with the water and coconut oil Bring to a simmer, then cover and reduce the heat to low. Cook for 5 to 10 minutes, until tender. Remove from the heat and let cool completely. Stir in the sesame oil. In a medium bowl, combine the crab meat, mayonnaise and Sriracha. Stir until well mixed. Divide the cauliflower rice among 4 serving bowls. 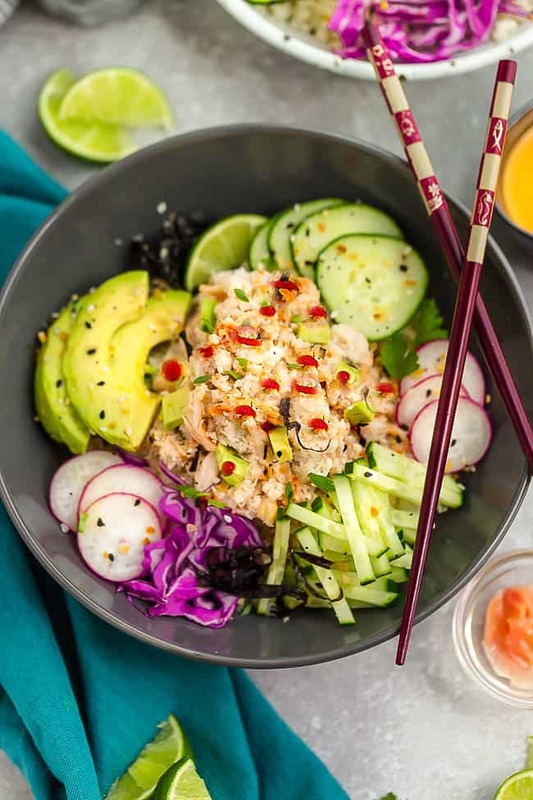 Top each with one-quarter o the crab mixture, avocado slices, nori strips, cucumber, shredded cabbage and radish slices, if desired. Sprinkle with sesame seeds. Serve with the wasabi cream on the the side. Oh my gosh, I just saw this review. How did I miss it earlier??? Thanks so so much! Great pics. Hi, I'm Kelly. 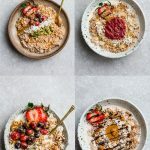 I'm a mom of two and this is where I share tips and low carb / keto recipes that have helped me along on my keto lifestyle. 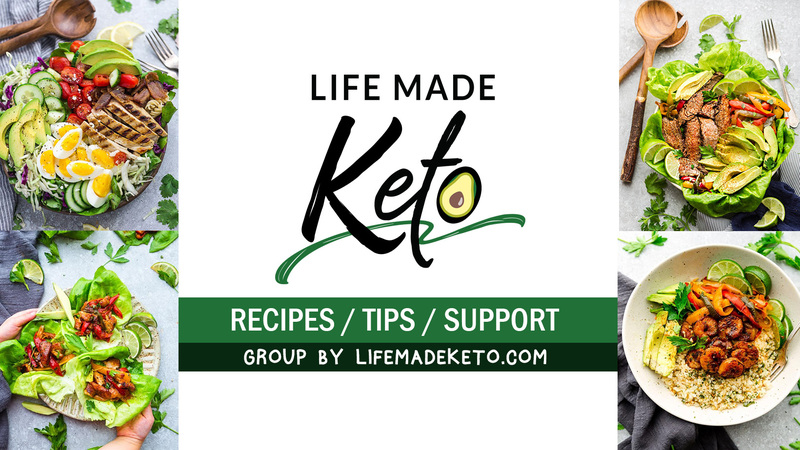 Copyright 2018 © Life Made Keto. All Rights Reserved.